We build a platform for the crypto BO trading Industry and Good Wallet for traderTraders will lose all their money if broker company shuts down or is runs away. It is the worst situation which many traders face. 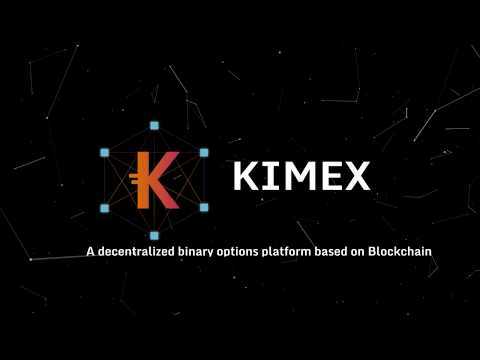 By using KIMEX.io all funds are safe even KIMEX.io platform can't access the funds since all funds are stored on ethereum blockchain. First of all I checked teams LinkedIn profile which is a disaster and very unprofessional. They yet not done kyc ... even the ICO Bench profile is not strong too. Very localized team everyone from Vietnam no international experienced advisor on board. About Vision there is lots of bad news over Google and the whole internet about this binary trading and about their scams ... If you want to make something different you need to be capable and have to do proper marketing with proper product. Don't find any mvp ... just like others it's a concept... And I don't blv in concepts. Will not be good for investment.